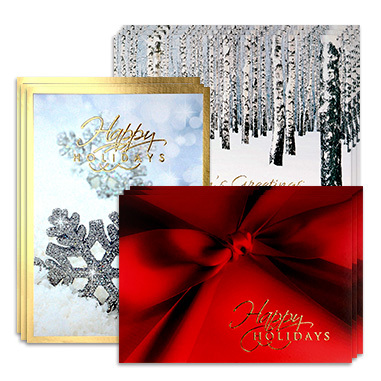 We are pleased to offer the convenience and selection of pre-packaged greeting card variety packs. This versatile option allows you to have a choice of birthday cards, holiday cards, thank you cards, sympathy cards, and blank note cards on hand at any time for any occasion! Never miss an opportunity to touch base with a client or colleague!